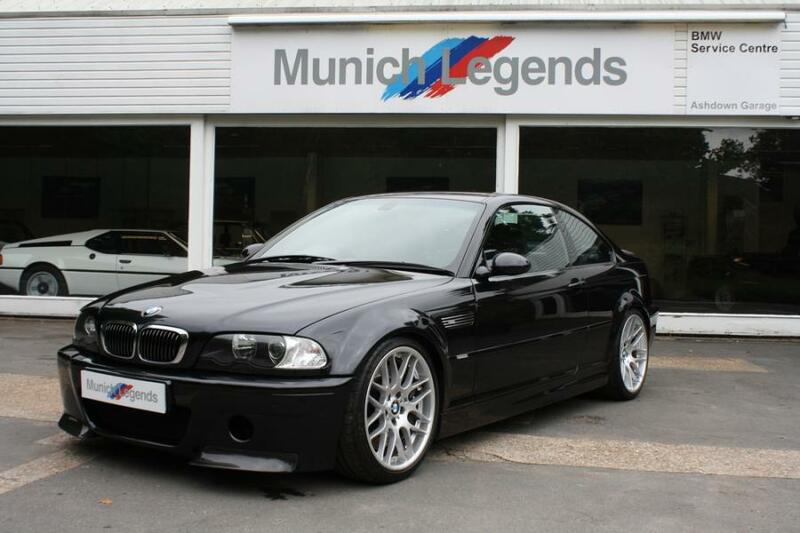 A superb example of the legendary M3 CSL in sapphire black. Very few examples are left from the original 422 UK RHD cars in such excellent condition. 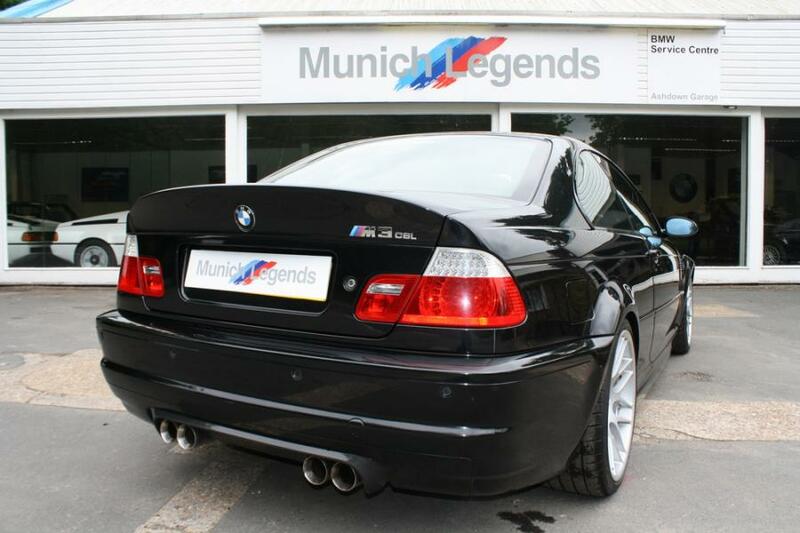 With just 56500 miles showing and with a full service history, this CSL is one of the best mid-mileage examples available. 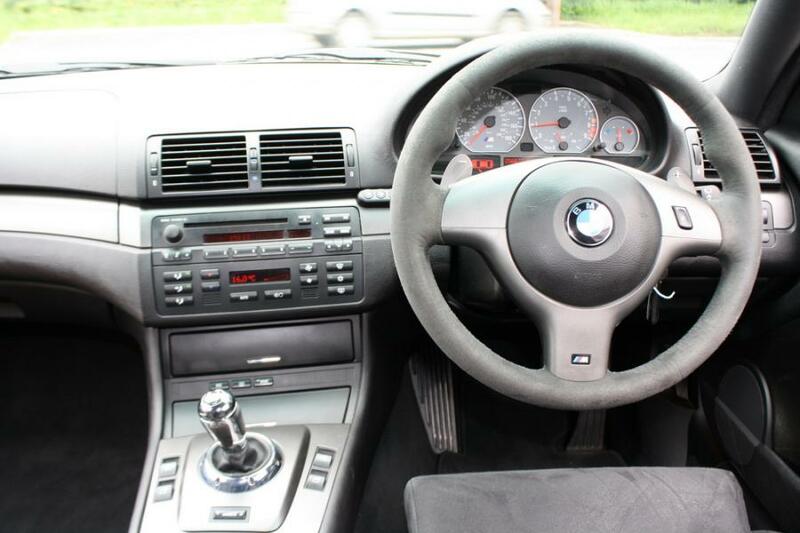 This particular CSL has been well cared for throughout its life, has Xenons, PDC, and the Hi-Fi options. 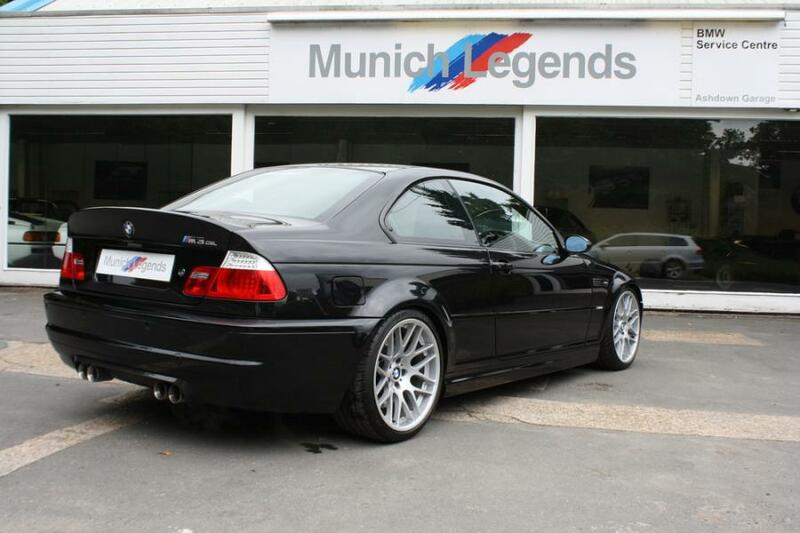 M60 CSL (plate comes included in price) has always been fastidiously maintained and has had a BMW warranty – still current – since it was new, meaning it has been maintained regardless of cost. 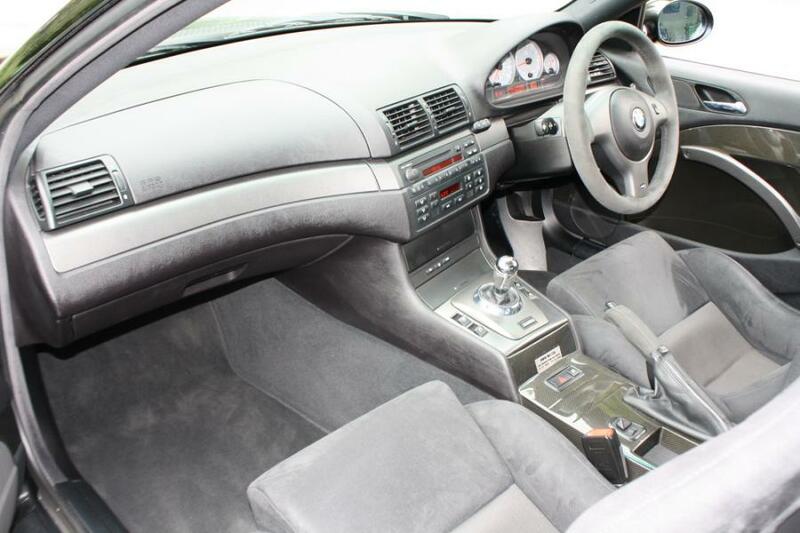 The exterior is excellent, the paintwork is in superb condition with a deep lustrous shine, and the carbon fibre roof, trims and wheels are perfect. 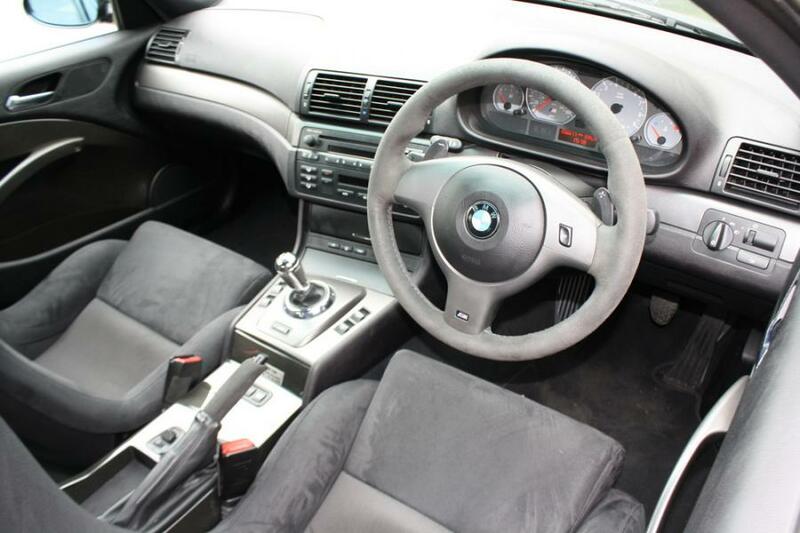 The interior is completely original and is in superb condition. 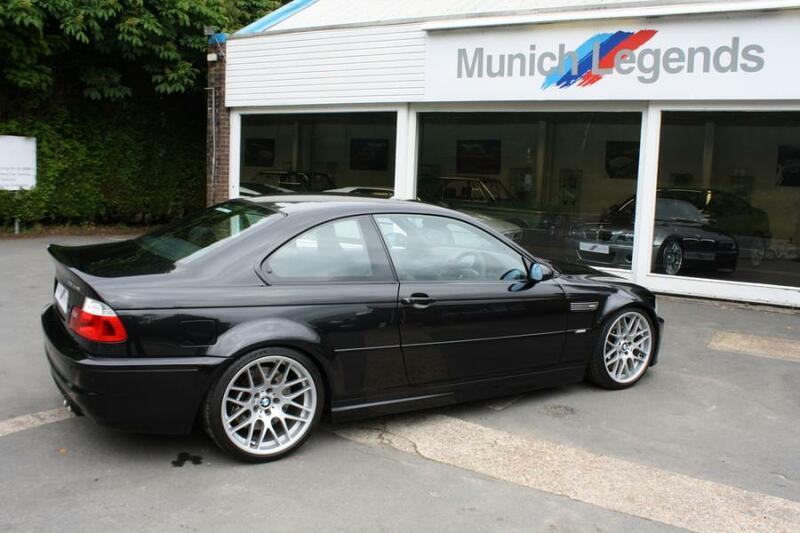 M60 CSL benefits from an upgraded big brake kit, and a Miltek exhaust. These modifications do not detract from the feel of the car or the driving experience, and the car shows no signs of any track use (although it is likely that, as with most CSLs, it has seen the occasional track). 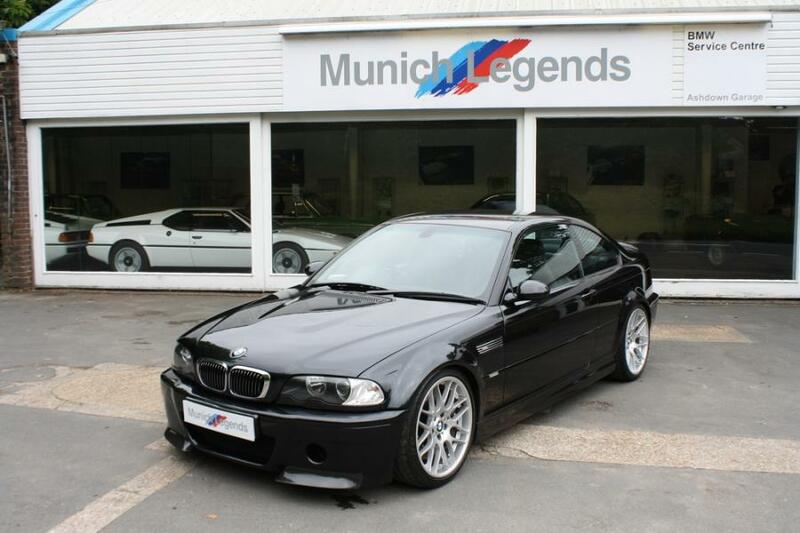 M60 CSL will come supplied with a brand new MOT and fully serviced up to date. The whole car, including the boot floor has been fully inspected by our technical team and has been given a fully clean bill of health, with only the smallest list of items needing attention, all of which will be taken care of during delivery preparation. Given the cult status and desirability of CSLs, this is a rare and fortuitous opportunity to own one of the best mid-mileage examples of arguably the most exciting M car ever made.